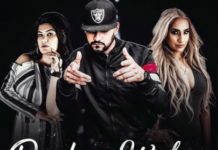 Heere Moti Lyrics – Kadir Thind Heere Mooti Mitti Ne Tere Aagge Jive Parchavein Mitti Hanere Aaage Is New Song From Punjabi Music Sung By Kadir Thind And Composed By Desi Routz. Song Is Penned By Raja. Song Is Released By Beat Motion Pictures Ib 28th Oct. 2018. Enjoy The Lyrics And Video Song Of Heere Moti By Kadir Thind. Label : Beat Motion Pictures. Heere Moti Mitti Ne Tere Aaage..
Ohh Pall Ton Dass De Khedaa..
Tainu Muddke Roni Na Denaa..